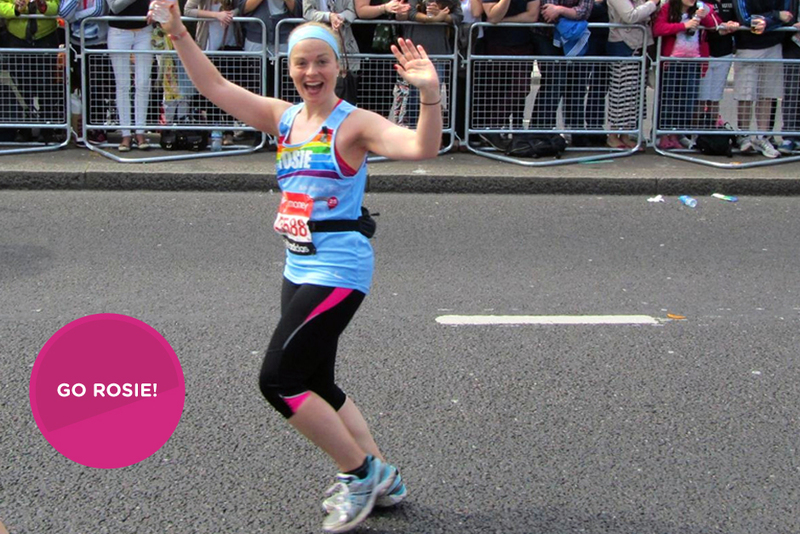 In July 2012 I found out I had been successful in gaining a place in the Virgin London Marathon 2013, running for Rainbow Trust. I can’t express strongly enough how good it was that I’d raised most of my money quite early on in my training as it hugely spurned me on to the end, and I’m not sure I’d have been able to battle the weather quite so well without the determination I felt not to let everyone down. I thought it would be fun to do an event towards the end of January when everything has quietened down and people are ready to party again! I was set a target of £1,600 but I decided to aim to raise £2000 which seemed to be way beyond my wildest dreams but I was determined to really go for it in a once-in-a-lifetime sort of way because I knew that I would probably never do a challenge like this again. I was very lucky that one of my closest friends had organised a highly successful pub quiz and raffle a few years before so I asked her for some advice and decided to go ahead with my own as a way of raising money. I spent some time finding a suitable room in a pub to hold it in. The pub also offered a discount on wine and nibbles per table. Then I targeted my 20 most reliable friends and set them the task of getting a table of 6 people together. Each person paid for a ticket which included the quiz, wine and food. I also put together my raffle prizes, which were generously donated by friends and family, such as items of jewellery, cookery books, a night in a B&B, a handbag etc. I sold tickets before the quiz to people unable to attend, and then sold a lot more on the night. I wrote the quiz myself to save money, and the pub compare kindly agreed to read it all out for the cost of a pint or two! The whole thing was quite terrifying but I was astonished that I managed to raise £3000 in just one night! In addition, I set up a Virgin Money Giving fundraising page and sent the link out on my Facebook and to my work colleagues, and managed to raise another £1,000 through that and from private donations. I am still overwhelmed by everyone’s generosity during my fundraising and it certainly played a large part in getting me over that finish line on 20th April 2013! Got my place running for Rainbow Trust. I was set a fundraising target of £1,600. It's a good idea to find the right plan for your level; beginner, intermediate or advance. I decided to organise a pub quiz with raffle prizes, wine and dinner. I set up a Virgin Money Giving fundraising page and sent the link out on my Facebook and to my work colleagues. I shared my fundraising page again with colleagues and friends. This raised another £1,000!